When in doubt, start with a haiku. During a week dedicated to raising awareness for craft brewing, I think it is fitting to dedicate one day to honor the hottest brewing trend since the discovery of yeast: Collaboration beers. Brewing is a craft similar to cooking, except most brewers didn't learn their craft from their grandmother. Techniques have been passed down for millennia from brewer to apprentice. In this era of modern craft brewing, an extraordinary amount of knowledge sharing has taken place between brewers. Perhaps this unconventional business practice stems from craft brewers' common objective to cut into the market stronghold of the behemoth breweries. 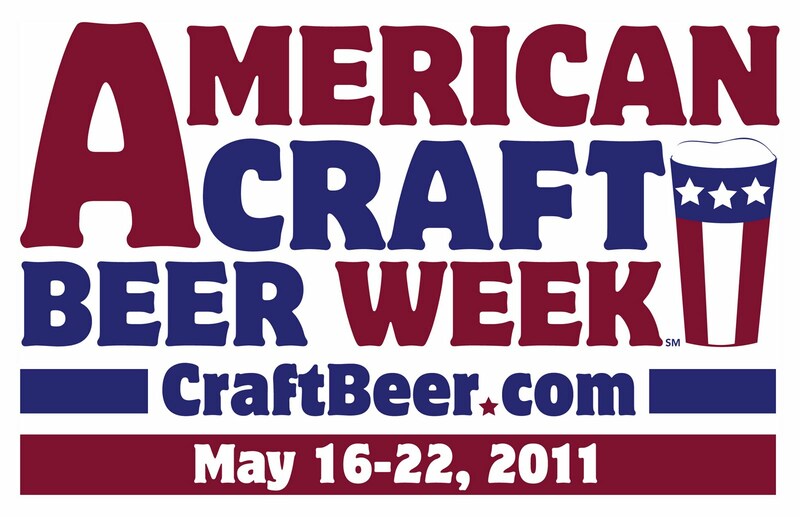 For reference, craft breweries represented about 0.05% of beer sales in the United States in 2010. I'd argue there is something more special about the fraternity of craft brewers. Most brewers learned their craft outside of a formal school setting and began their business from scratch. Knowledge sharing was fundamental to their business' survival, and most brewers are simply willing to give back to the community that supported them during their rise. The craft aspect of a brewer's business also fosters sharing. As with cooking, even the most seasoned professional can benefit from fresh ideas and new techniques. Don't believe me? 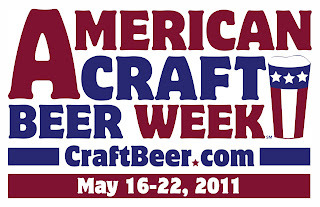 This is American Craft Beer Week, visit your local brewery and strike up a conversation with a brewer. Watch out though, you may talk your way into helping out during the next brewing session. During a recent visit to Specs Warehouse in downtown Houston, I saw no less than ten collaborative offerings in the American craft beer aisle. Whether these efforts were educational, marketing-driven, or simply a celebration of their trade, I'm a happy and willing beneficiary of the experiments. "This delectable blonde ale is a co-creation of two famed farmstead breweries: Brewery Ommegang and Brasserie d'Achouffe. 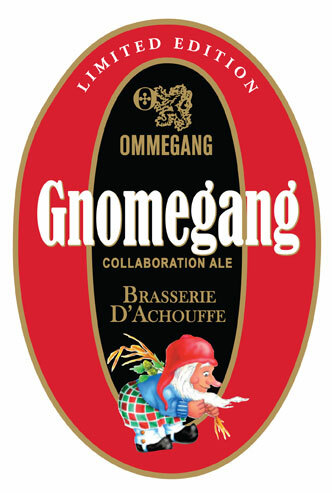 It employs five fine malts, two noble hops, and both of the distinctive Chouffe and Ommegang yeasts. You'll enjoy the smooth drinkability, fruity aromas and flavors, and warming finish." We've visited this brewery in the past and have been enjoying their World-class farmhouse Belgian-style beers for many years. When I learned of this collaborative effort, I immediately pictured the metaphor described above of an award winning chef learning new techniques from another master in his particular cuisine. Such high expectations are dangerous. The beer pours golden, forming a relatively small head that dissipates relatively quickly. The beers nose straight forward for the style. Distinct Belgian yeast aromas including lots of clove and maybe a little more banana than I would have expected were present. The flavors followed suit. The beer is slightly sweet and has a noticeable boozy punch. The tasting notes on the bottle mention the beer's "drinkability," so I guess it is okay if I type the term in my review. This was a very good beer (I'm talking A- good). I wonder if it wouldn't gain a little more character after a year or two in storage. My initial impression was that this beer is too "safe" for a collaborative effort. After giving it some thought, this is a very technically sound version of the style. I assume that there are some technical aspects of the brewing process for this beer that may not slap you in the face while drinking the finished product. However, this doesn't make Gnomegang anything less than a solid collaborative effort. This beer is splendid! The taste is crisp and complex, and I bet this beer will age well. The lovely carbonation dances on your tongue, or goes up your nose if you take too big of a gulp. Gnomegang is delish! I highly recommend this great collaboration.